HomePostsWhat is Ma Yoga Prenatal Yoga? As a new prenatal teacher in 2001, I came into my yoga room thinking about how wonderful and blissful everyone must be to be carrying this new life in their beautiful round bellies. It took me about 30 minutes to figure out just how clueless I was. Yes, pregnancy is exciting and all that, but it’s also often isolating, stressful, anxiety-producing and full of physical discomfort. As I learned seven years later when I got to experience it for myself (I’m sitting in the dark tank about 4 months pregnant), when we’re pregnant we have a whole array of new possible problems to worry about – plus in the back of our minds we know that eventually we’re going to have to figure out how to get this baby out! I created Ma Yoga® to help women not only enjoy this time, but also use this transition as an opportunity to learn to access our innate feminine power, wisdom, and nurturing energy. 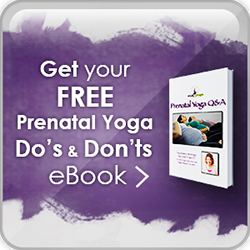 What many pregnant women don’t realize is that you will use what you learn in prenatal yoga throughout the time of being a mother – which is for the rest of your life! and make friends with other moms-to-be! 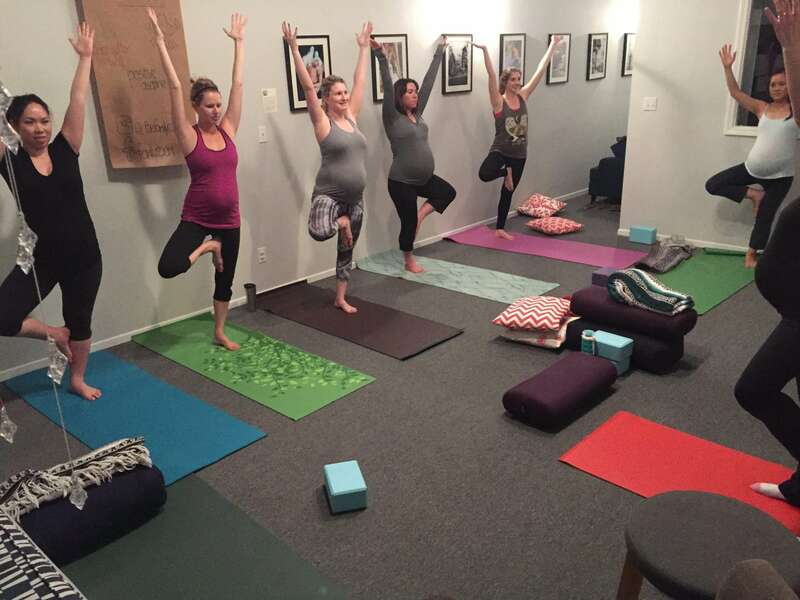 Ma Yoga is a community of Prenatal Yoga teachers who offer friendly, strengthening, therapeutic classes in over 10 locations throughout Los Angeles, South Bay, and Orange County. We try to make it super easy for you to get info and book and buy your classes online. Just go up to “Classes” where you’ll find Locations, Schedules, Prices, Descriptions, Testimonials, and How to Book Your First Free Class. 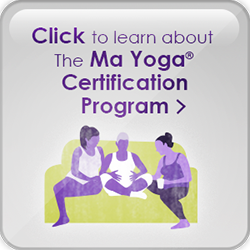 I hope being part of Ma Yoga helps you use this time to step into your greatest potential as a “Ma” – an embodiment of divine nurturing energy – for yourself and your baby. Now get thee to Prenatal Yoga class, mama! Jessica Jennings, MS, ERYT, RPYT, founded Ma Yoga® for Pregnancy, Motherhood & Beyond as a way to provide inspiration, guidance and support for mamas in their own neighborhoods. She loves helping people use the experience in the years around birth to create lives that reflect their own authentic feminine power and wisdom. If you are a mom, pregnant woman, yoga teacher or birth or mom expert - or you want to be - come join our online community by clicking below.